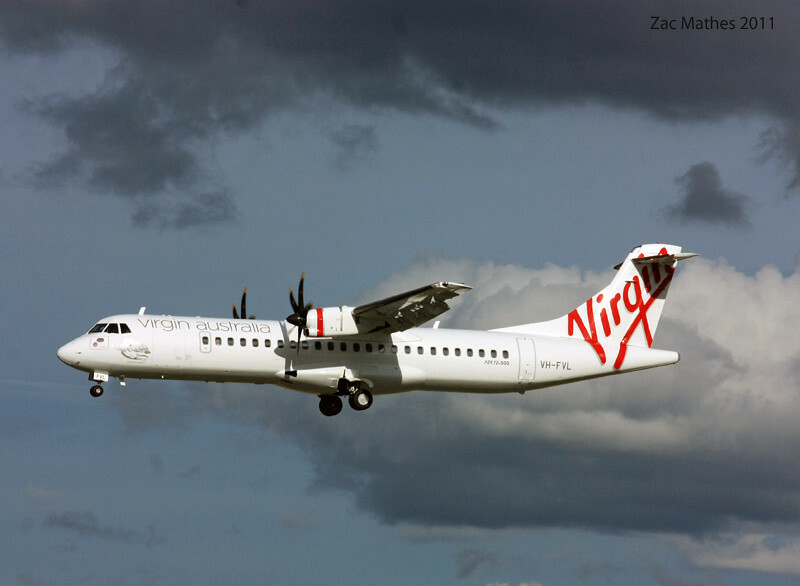 Quote Virgin Australia's new Capital Connect service is now operating multiple daily flights between Sydney and Canberra, with connections across the rest of the extensive Virgin Australia network. Our new improved service offers guests a range of complimentary refreshments*. Guests can enjoy coffee, juice, red wine, white wine, selected beer and selected snacks, such as banana bread, gourmet cookies and dips - free of charge. We have also included a complimentary copy of The Australian newspaper so you can catch up on the news of the day before you land. So if you love your coffee and newspaper in the morning and your beer or wine in the afternoon you will love Virgin Australia's new Capital Connect service. This service will be operated by a combination of ATR72-500 and Embraer aircraft. Can't wait for those new ATR's, would be interesting to fly on! Screams of Ansett's "Capital Shuttle". The first Canberra to Sydney flight was operated this morning by the first of three ATRs currently in the fleet VH-FVH. From today until the 31st it will be one return service a day, depart Canberra 0730, arrive Canberra 2130. From the 31st (when they get a fourth) I think it will be something stupid like seven returns a day between here and Sydney, so get used to the ugly things. Rumour has it that their engineers are located in Perth, be interesting if one breaks down. Here is the third ATR-72 ferrying into Canberra yesterday in preparation to enter service today.